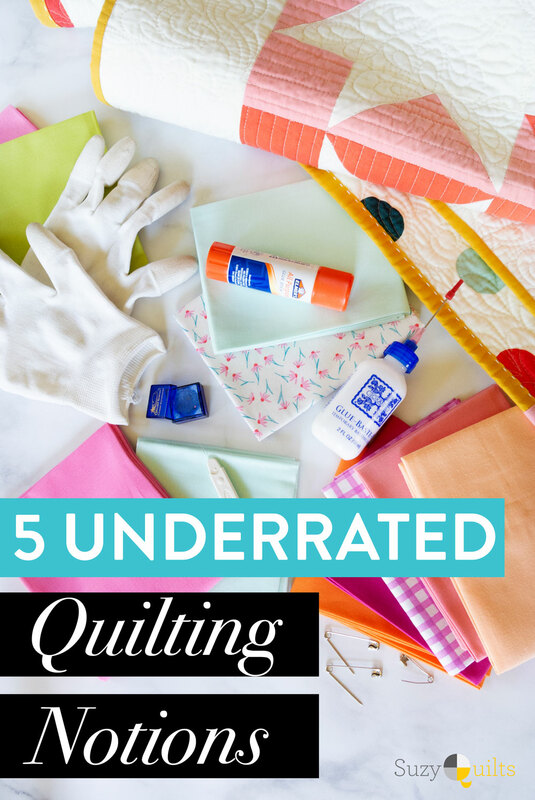 But what about those sewing tools and notions that aren’t quite as shiny or exciting? What about the tried and true items that keep chugging along and rarely need replacing? Should we forget about them? Above is the Stars Hollow quilt pattern. 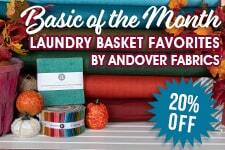 Get the PDF download in the shop! 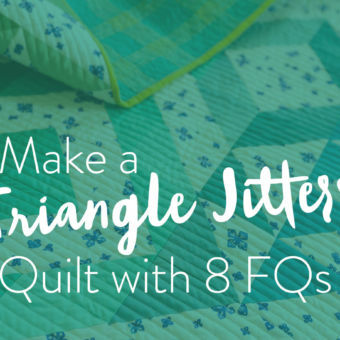 I say no, my fellow quilters! Let us sing the song of our unsung heroes! They don’t ask for much. In fact, they ask for nothing at all (mostly because they can’t talk.) So let’s all agree to take a moment and pause to recount the great acts of valor these tiny champions play. 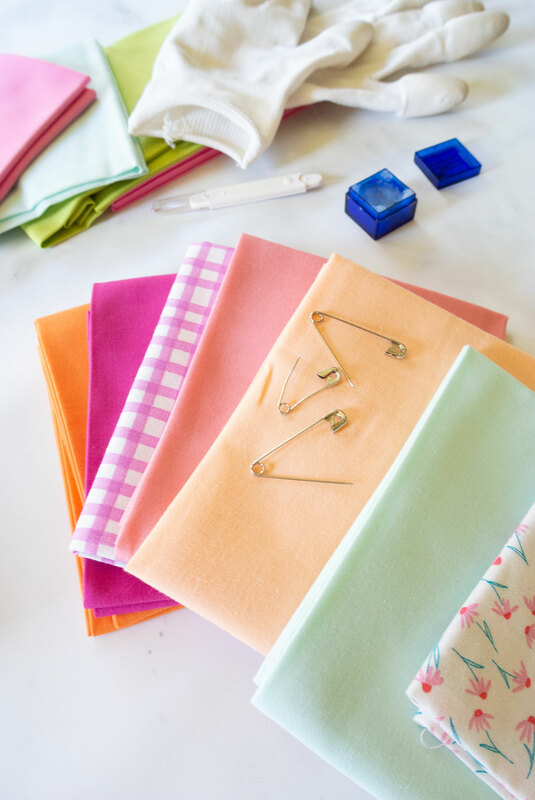 You probably won’t see a glamour shot of safety pins on the cover of your favorite quilting magazine, but that’s OK. Safety pins wouldn’t want the spotlight like that. It’s not their way. Safety pins play the invaluable roll of holding our quilt sandwiches together so we can stitch with ease. I opt for safety pins over basting spray because they are cheap, reliable, and you can literally reuse them forever. The spray stuff, on the other hand, will require you to consistently re-buy, racking up quite a bill. 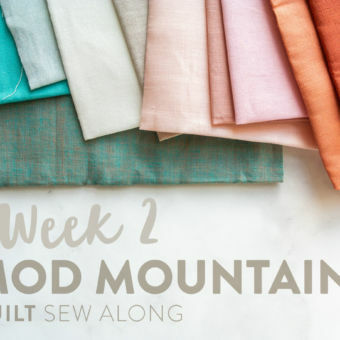 I’d rather use my crafting funds for something more fun… like that swoon-worthy fabric we mentioned earlier. Hot Tip: If you think basting with safety pins takes too long because of the whole opening and closing and opening and closing again, try skipping that first and last step and store your safety pins in a box in the open position! Don’t make yourself, or your pins, work harder than they have to. There's also this nifty little tool called a Kwik Klip that acts as a stand-in finger so you can close those pins without hurting your sweet little finger pads. 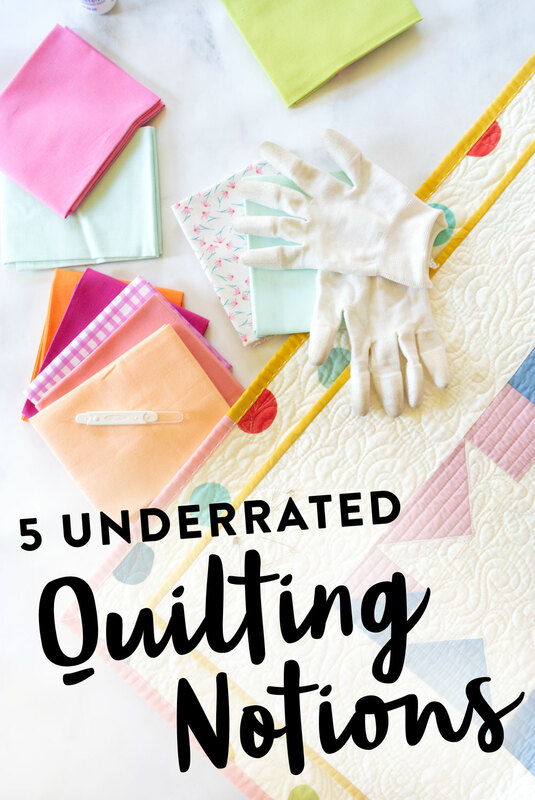 When I first tried free motion quilting, I treated myself to a pair of machine quilting gloves and a supreme slider (more on that in my FMQ post)– and I’m so glad I did! Now, I never quilt anything without these funny little gloves. They have a grippy underbelly to help me hold on to the fabric of my quilt with minimal effort – saving my neck and shoulders from a world of strain and pain. They’re also incredibly stylish, and as I’ve frequently reminded the Instagram world, they make you feel like your own butler as I choose to drink everything from a wine glass. Drinks for one? Quick Note: I choose to not use thread conditioner when hand quilting. 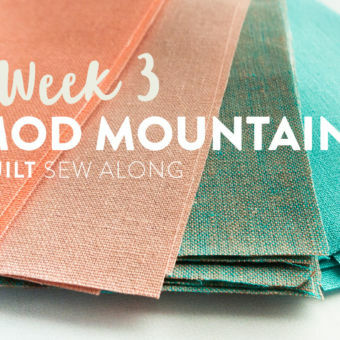 I have tried it and find it to actually hinder my stitching and gunk up my thread. Maybe it's because I use a thicker, yarn like thread for hand quilting? 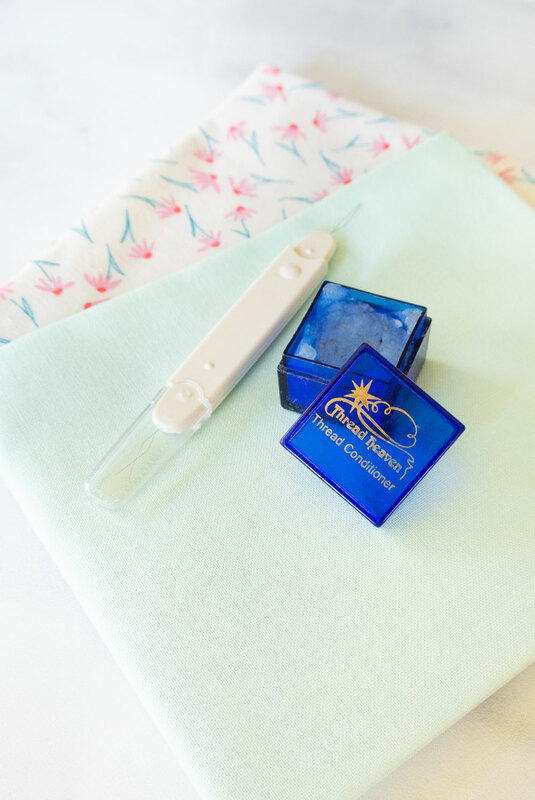 For more info on my favorite hand quilting tools, and a video tutorial, check out this post. Glue – what an underrated little product. 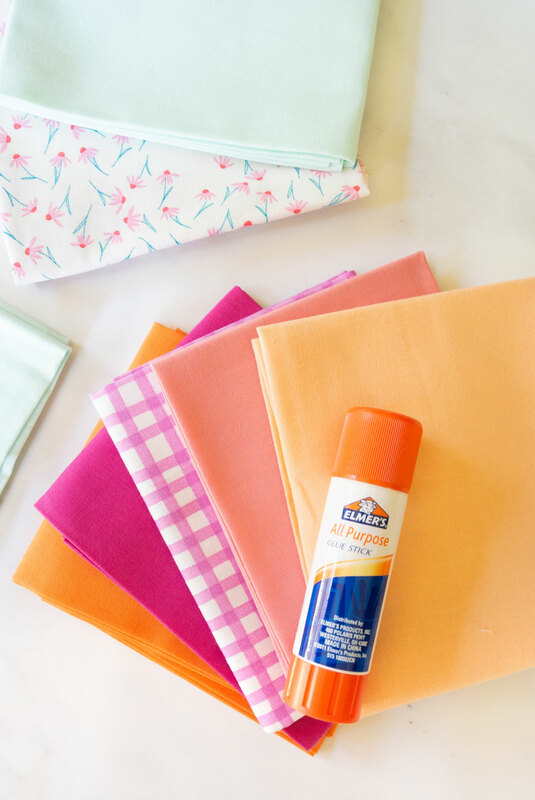 A good old glue stick can help you quick baste appliqué pieces AND bring back great memories of second grade crafts at the same time! 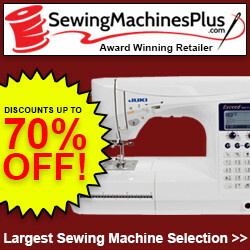 Want your seams to perfectly match? Grab a fine-tipped screw-on top for your liquid glue and use that rather than pinning. Yes, your fingers may get a little sticky, but the speed and accuracy will be worth it. When sewing my Sugar POP quilt together, I always use this method to make sure my center seam matches up perfectly. 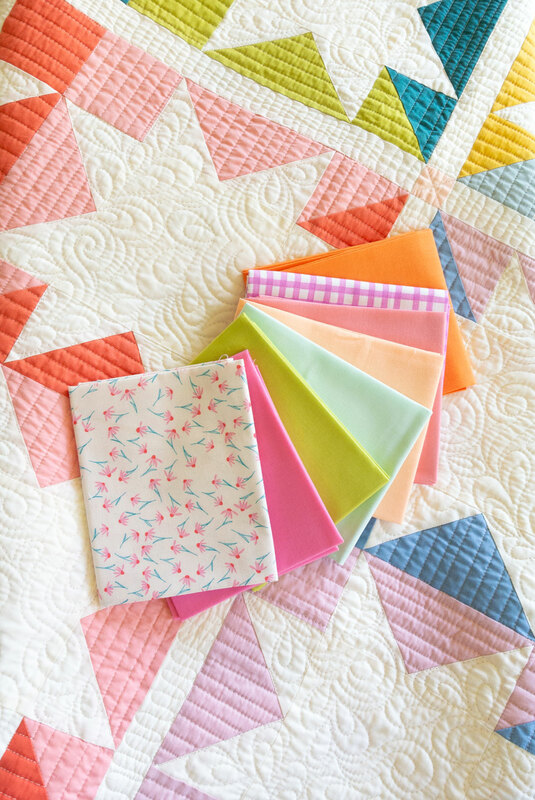 Get the Sugar POP quilt pattern here! Last on our list of unsung notions is the simple needle threader. This humble tool, made mostly from a little piece of wire, can remove all of the frustration of poking a piece of thread through a needle eye. I do a lot of hand quilting, and my thread of choice is a thick Pearl Cotton No. 8 thread. Have you ever tried to get that stuff through the eye of a needle with just your finger tips? It can take a few tries! Use a needle threader and no licking or squinting will be required. 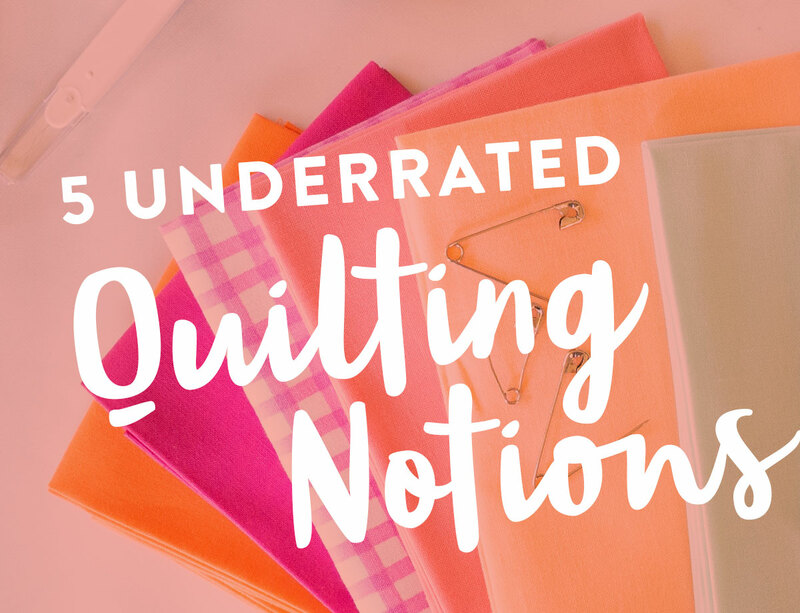 Check out more of my favorite notions! 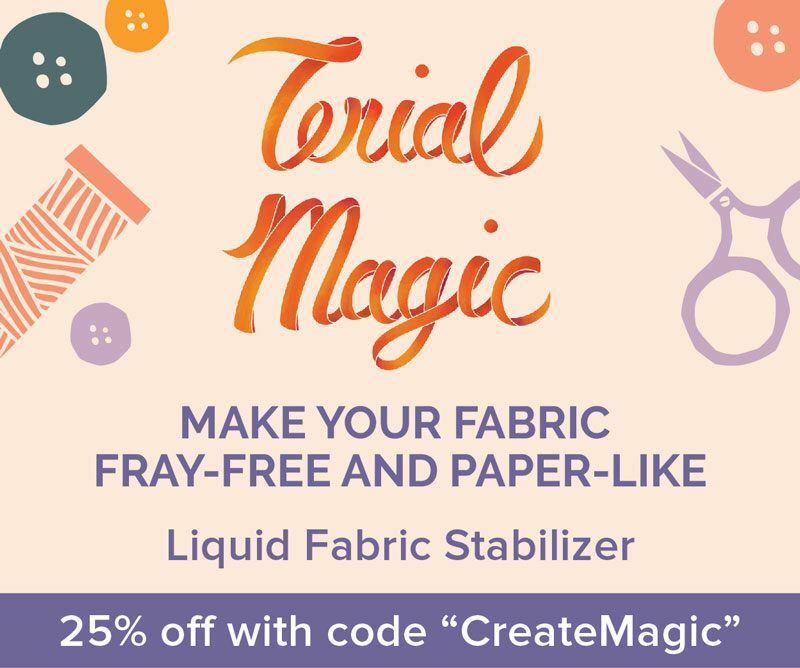 You could add ALL of these magical, underrated quilting notions to your quilt kit for half the price of a fat quarter bundle. They maybe not give you the same surge of instant gratification, but the tiny little bubbles of joy they lend on an ongoing basis will be just as nice. Do you have any unsung heroes that deserve our attention? I'd love to hear about those notions in the comments! I wouldn’t be without Fray Check! I use it for so many things—embroidery, wool appliqué, raw edge appliqué. I recently had to cut burlap and used the Fray Check to help prevent raveling. So many things I can’t remember them all but Fray Check is always at my finger tips. 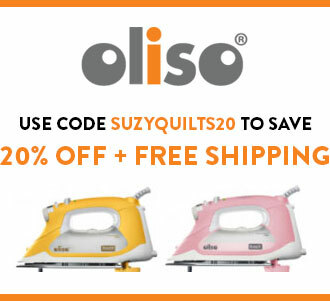 Hi Suzy, when pin basting a quilt, I don’t close the pins until after I release the tension of the masking tape that is holding down the back. Sometimes I don’t close them at all if I am doing some quick and easy quilting. I thought I was the only one! I…. Usually…. Never close them! My favorite notion is serrated scissors. These things grab hold of fabric while you are cutting it. Making it super easy to be very precise. Try some. You will be amazed. I have pinking shears. Are these different? Oh I love a reason to buy new scissors! Yes, OP is right — serrated scissors. Oh dear… if you have to pink something, get the rotary blade for that!! Great post, Suzy! Glue has been my favorite quilting discovery of the last few years. 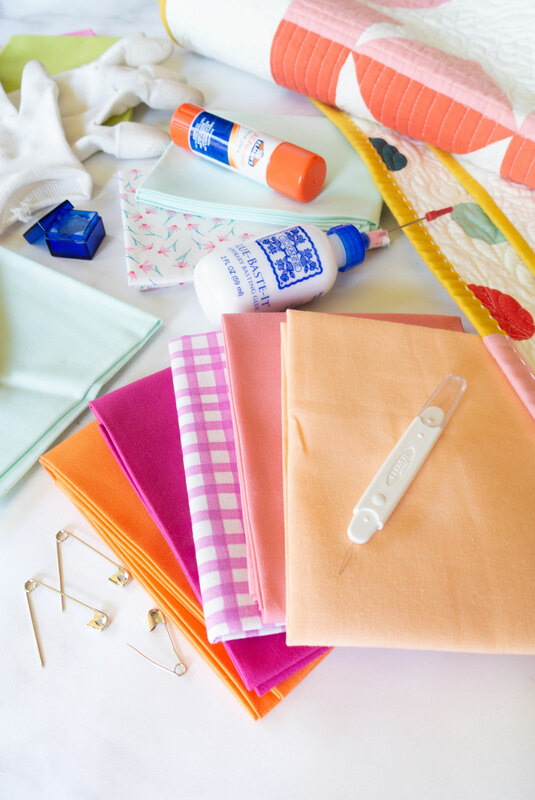 I actually use my glue sticks to baste small quilts and tricky parts of bigger projects. Additional downsides of spray basting are the environmental and health impact of use. I quit using it awhile ago once I linked it to migraines I had experienced. 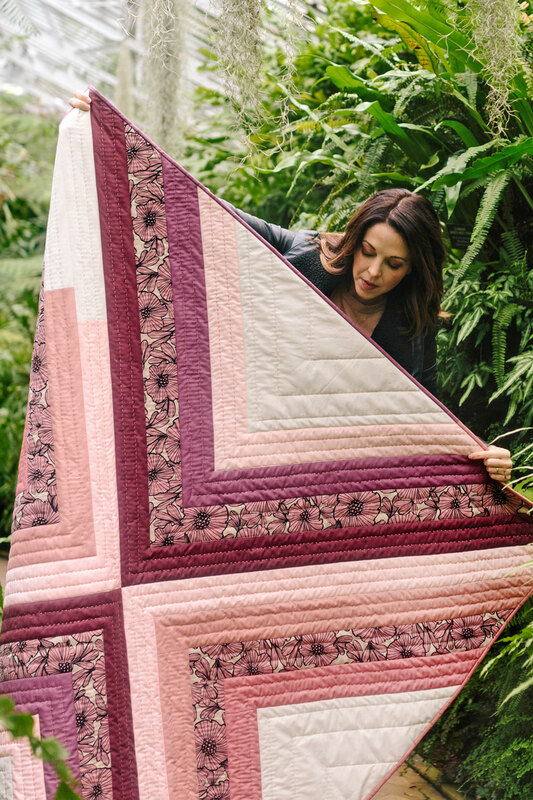 I’ve talked to quite a few quilters that have found it to trigger migraines, asthma attacks and other negative health impacts. Thanks for the recommendation for thread conditioner. I keep hearing about it and might have to find some. Wait I didn’t get the memo. What’s wrong with spray basting? I’ve bewn using it literally for years. Pin basting is very difficult for me as I have a bum knee. Great article, Suzy! Can you tell me what weight of thread you use for your binding that you whip stitch as shown above? I really love the look and it looks thicker than the standard thread. I actually used my classic running stitch and hand quilting tools to sew the binding on this Stars Hollow quilt. It uses 8 wt. thread. Typically, I like to use 12 wt. cotton thread for whip stitching my binding. I love your writing! Not only do I get valuable information…I also get at least one chuckle, if not an outright belly laugh! Thanks for starting many of my days with a smile. Stay well! This comment just made my day! Thanks, Sally! 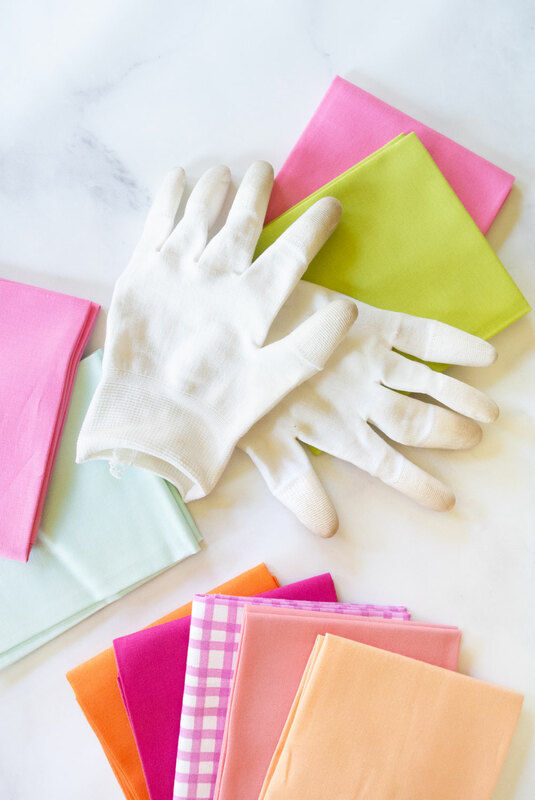 I just bought the sticky gloves as I have 4 quilts lined up for my immediate attention! The first one was such a breeze! Total game changer. However, do not pet the dog…. I just looked at your binding tutorial to see how you stitch your binding, and I saw how you join the two tails of the binding. I have never seen it done this way and it is so much easier than what I do!! I always learn new things from you!! I can’t wait to try it. Thank you!! Oh…yes!! Thread Heaven still makes that thread conditioner and it’s my BQFF (best quilting friend forever!). I have two containers of it, one for each room that I might use, cause I’m lazy that way. My 2nd BQFF became the clapper last year when you turned me on to it…I’m still contemplating a name for it though. Great post! Another thing to make pin basting easier on your fingers are the Quilters Delight Pin Covers. You should try. It did take an evening of prepping my pins, but they have stayed on since! Hi Laurel! Thanks so much for your interest in purchasing one of my quilts! 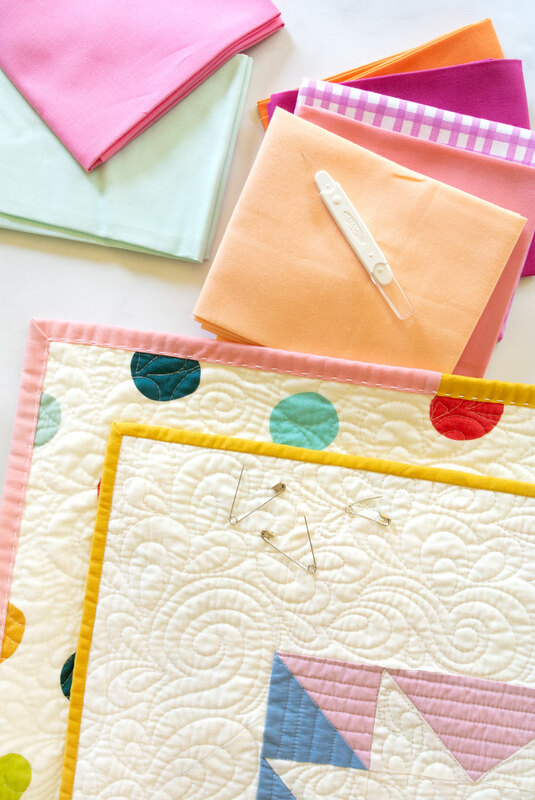 Which baby quilt do you have in mind? 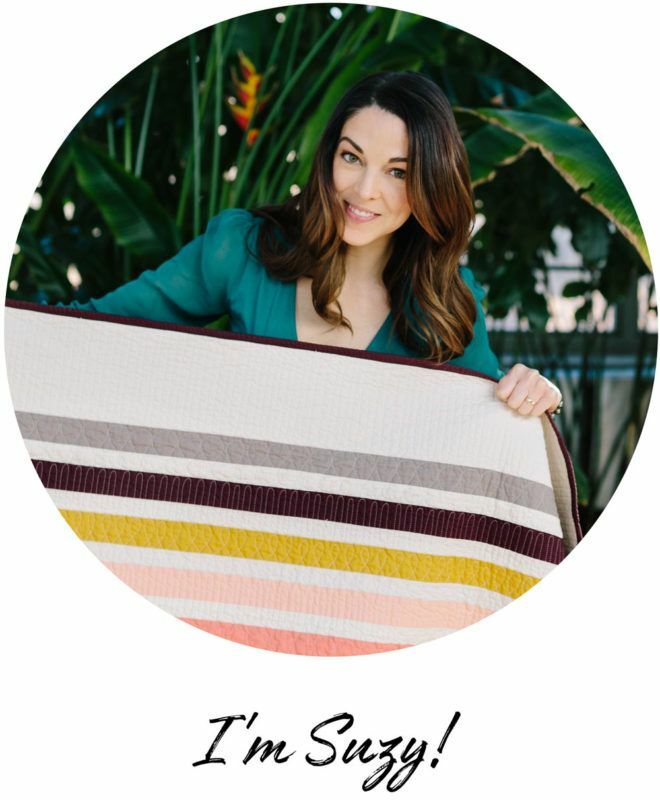 Suzy, I always enjoy you posts, stories, videos, and patterns. You teased us today with a beautiful pull of fabric. I’m hooked! Will you please share the manufacturer and color names or numbers? And best wishes for an easy delivery. Won’t be long now . . . ! Thank you!! Remind me what the fabric looked like? Not washing in, SOAKING in and then draining the water. I love my quilting gloves! 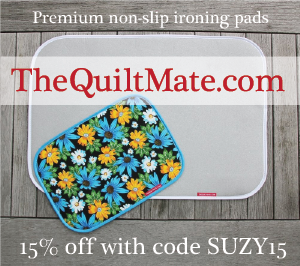 I can’t imagine quilting without them now that I have a pair. It’s hard to believe something so simple could make such a big difference. For basting, I know pins are cheaper money-wise but I feel as if the time I save from spray basting is well worth any cost associated with buying a can of spray. Pin basting would take me hours to finish but spray basting only takes me around 20 minutes. I’ll easily pay an extra few dollars to speed that process up. However, I do usually still add in a few pins around the edges to make sure everything stays in place. My favourite notion is a wooden bamboo toothpick with a bead on the end. I use it as a extra “finger” when machine sewing. I use it to guide my fabric through and can see easily around it plus It helps me get close to the needle without sewing my finger. 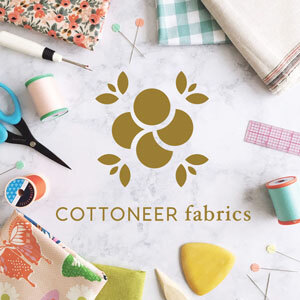 (Everyone raise your hand if you’ve sewn over your finger once or twice while sewing miniatures or free motion quilting) It is also perfect to catch the bobbin thread and works to remove stray threads. If you do happen to sew over it I have found that the needle doesn’t shatter the same because the bamboo is pretty soft. Very simple and inexpensive but Ive been known to turn my sewing room upside down to find it if it goes missing. I Can’t figure out how to add a photo to the comment or I would include a picture. The bead provides something to hang onto and after using it once or twice I was hooked for life! 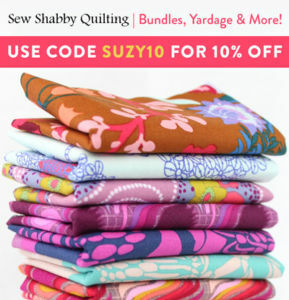 I came to your blog Suzy, after being totally smitten with your bubbly personality on the Quilt Show this week. Great show. What quilt is that behind the pictures? Is that one of yourself? It’s the Stars Hollow quilt pattern. You can get it in the shop! 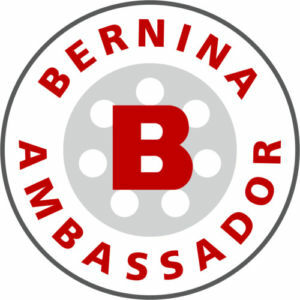 Hi Suzy, just found your wonderful site…as a Mom to four & Grandmother to nine, Congrats on your precious baby! What a treat to watch the how to bind video, thank you. I need help, my Retro Log Cabin quilt back turned out as nice, maybe nicer, as the front. I’d like the option to hang the quilt front then turn & hang, showing the back, but I’ve been told using clips long-term ruins a quilt (weight of the fabric). Any suggestions? P.S. watched your how to sew a sleeve on video, will forward to my quilting friends. 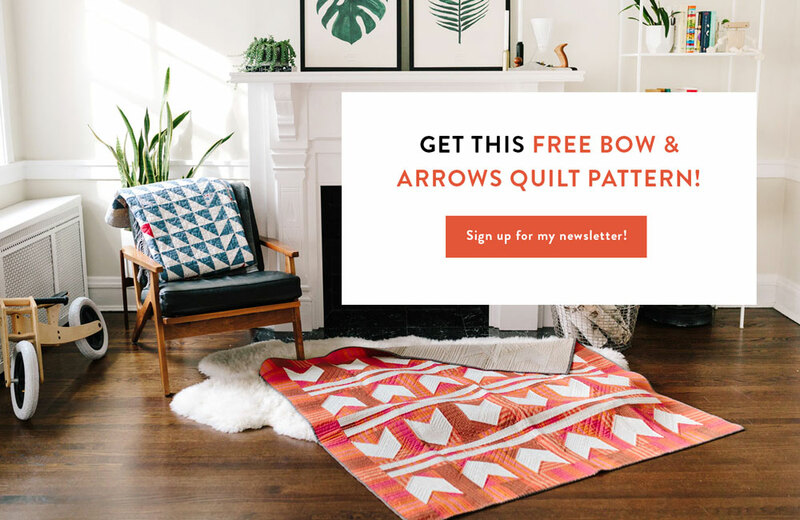 I think I have a solution for you – quilt hangers. 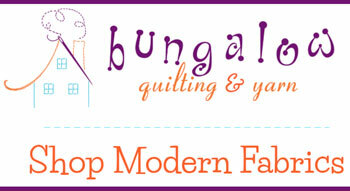 I think a few places make them, but I special ordered two quilt hangers from this site. (I wanted one on the bottom as well as the top) for a quilt that hangs above my mantel. It’s a beautiful solution and does not harm the quilt. Hey Suzy, I noticed you just use regular safety pins. I use the slightly curved ones made for quilting, and I find them definitely easier to close. I struggle with pin basting to get everything really smooth and taught. what kind of tape do you use to secure the backing while you baste? I have found wide masking tape or even wide painter’s tape to work well. With pin basting, you do need to use a lot of pins – probably more than you want to use. lol!